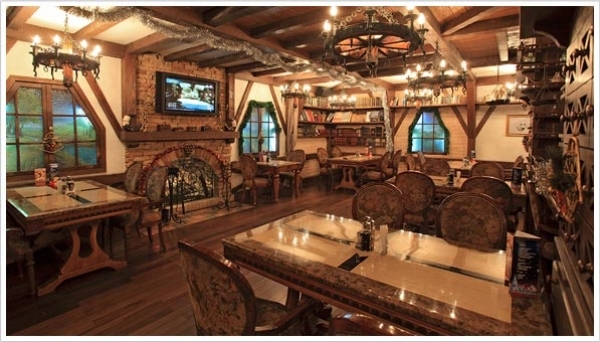 This restaurant, together with its, cosy Bistro is not simply the best decoration of Zanevskaya Square. Alpirsbacher — made with water from a mineral spring in the Schwarzwald. Charming smiles of waitresses dressed in national German dress, a folklore band add to the fascination of this place. No words can describe all this, you should see Schwabski Domik for yourself.